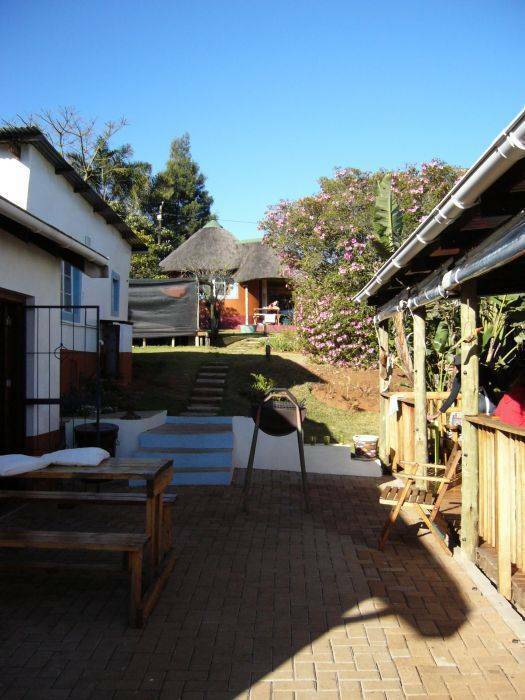 Located 5 minutes from centre of town in a beautiful area, ideal for hiking, mountain biking and other outdoor activities. Close to plenty of waterfalls, Mining town Pilgrims Rest, the Blyde river canyon, Kruger National Park, Swaziland and Mocambique. etablissement trés bien placé pour visite région ... Bon accueil . 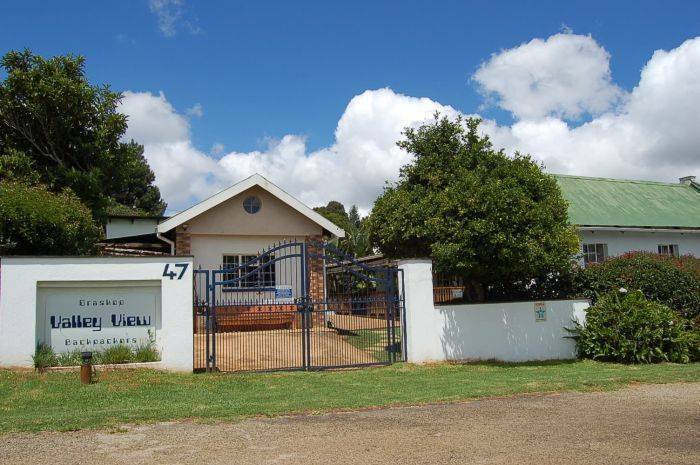 ValleyView Hostel is located on the west side of the village Graskop, 5 minutes from centre of town. This village is on the way to the panoramic route along the Blyde River Canyon and is surrounded by mountains, forest and African bush. An ideal place for hiking or mountain biking through forest, grassland and along plenty of waterfalls. ValleyView is a loungable, jazzy place where you can relax after being exhausted from your travels, activities and all the impressions. In a relaxed atmosphere we can offer you a nice bed and lots of information on things to do and see. If you need some more information, we gladly inform you about the plenty of possibilities in this magnificent area. Its a nice place were you can exchange experiences with fellow travelers. To keep in touch with all your friends there is an Internet facility. Colourfull painted, basic rooms with a locker to put away your valuables. Choice out of rooms with shared bathroom or rooms with your own big bath. Selfcatering chalets with own kitchen and bathroom. With 900 citizens and surrounded by mountains, forest and bush Graskop is a nice little village. Because it is on the way to the famous panoramic route, there are lots of activities in the village to make it the tourist as comfortable as possible. 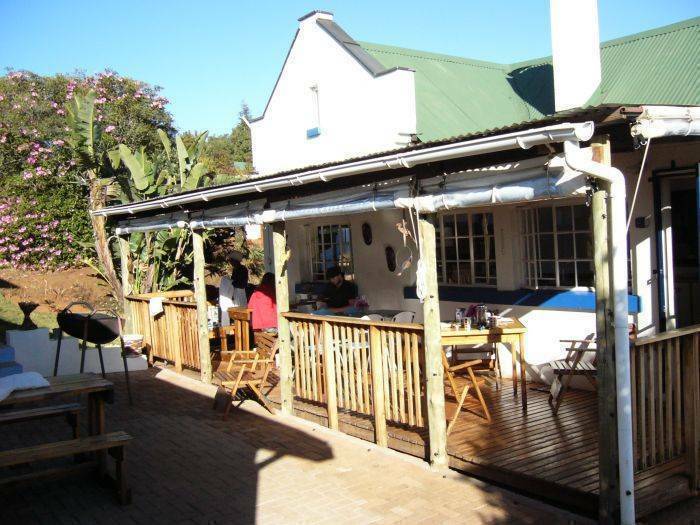 With an altitude of 1430 meters Graskop is weather wise a very pleasant place to stay. Average temperature in summer is 25 degrees Celsius, in Winter 18 degrees Celsius. There are a lot of curio shops, theres a supermarket, a petrol station, banks with ATM and different places where you can eat pancakes. From Graskop you drive through the lowveld to the world famous park where people can experience the beautiful African nature. Save from inside the car, people can see elephants, rhinos, giraffes, hippos, lions and buffalos. Also dont forget the different kinds of birds, insects and plants. You never know whats around the next corner! You can explore the park with your own car or you can travel with a trained guide who can teach you a million of interesting things about the nature. In the camps you can choose to sleep in classy self-catering rondawels or just sleep in a tent. Most camps have an excellent restaurant, which serves delicious food. You can go on a guided night drive to explore the park after sunset or have a guided morning walk and wake up amongst the animals. And at night, lying in your bed, you can hear the lions roar outside the camp! Just 5 minutes outside Graskop starts the panoramic route, which gives you some stunning views along the escarpment. Have a look at the Pinnacle or see the world from Gods Window. From here you can see the lowveld, which is lying 600 to 800 meters below your feet. If the air is clear you can even see Mozambique! The panoramic route takes you to the Berlin Falls, the Lisbon Falls and to the exceptionally formed Bourkes Luck Potholes. At the end you can see the Three Rondawels, standing in the worlds greenest and third biggest canyon: the Blyde River Canyon. This tiny little village with its rich history brings you back to the end of the 18th century. To the times that fortune seekers and daredevils from all over the world came to this area to look for the gold that was hidden inside the hills. The museum gives you a lot of information about the village and the gold digging. You can even test your luck in one of the many rivers that still carry along some of this desirously stuff! There are several cozy restaurants and plenty of souvenir shops. The Mac Mac area is named after the many Scottish immigrants who came to search for gold. The search for gold spread to this waterfall and particularly to the pool below its 56 m drop. In an attempt to divert the flow with explosives the single stream was split into twin falls. During hot days people can take a refreshing dive into the crystal-clear water of the Mac Mac Pools or take a shower under the Maria Shires Falls. The Mac Mac area is ideal for mountain biking and hiking. Sabie is the place to be if you want to do some extreme adventures. The rough landscape with its many mountains, gorges and waterfalls is ideal for abseiling, rafting, climbing and quad bikes. If you dont like the rush of adrenaline, this cosy village is still worth a visit. The many souvenirs shops and nice restaurants offer you a splendid day. Besides this you can also visit one of the waterfalls who are close to town; Sabie Falls, Lone Creek Falls, Horse Shoe Falls and the Bridal Veil Falls. This city is the capital of Mpumalanga and the transit area to Mozambique and Swaziland. It is a modern city where the African culture meets the western. There is a cinema, a casino and there are some big shopping malls. Besides this, Nelspruit offers you a beautiful Botanical Garden, the River Croc Reptile Park or the Sudwala Caves. The colourful African Market is definitely worth a visit. Experience life in real Africa and enjoy the hectic! From the centre of town take the road to Sabie/Pilgrims Rest (R533). Just over the railway bridge by the 4 way stop street, take a left. All the way over the hill until the end, take a left. Its the white house on the next corner.